It's always interesting to hear of new ways and situations bliss is used in. I recently received an email from a bliss customer who used bliss to fix album artwork for his car. I bought Bliss so that I could properly embed album art into my iTunes library so that it would show the art on the MMI display in my new Audi, which contains an SD card copy of that library. I’m pleased to say that it did a very nice job and I’m now fully arted up in the car. The Audi MMI is an advanced in-car entertainment and control system, with a nice large full colour display ideal for displaying album artwork while your music is playing. Naturally, having the album artwork also makes it easier to browse and enqueue your music. However, like a lot of music playing hardware/software, there are limitations on the artwork that can be displayed. Artwork must be no larger than 500x500 pixels in resolution. Artwork must be no larger than 256KB in storage size. Only one piece of embedded artwork is permitted in each file. (Note: the resolution limit of 500x500 applies to the standard 5" display. Larger displays of 7" are available; for these the maximum resolution is 800x800). Where artwork broke these rules, it simply wasn't displayed. These constraints are actually quite limiting; I would normally recommend resolutions higher than 500x500 for example. 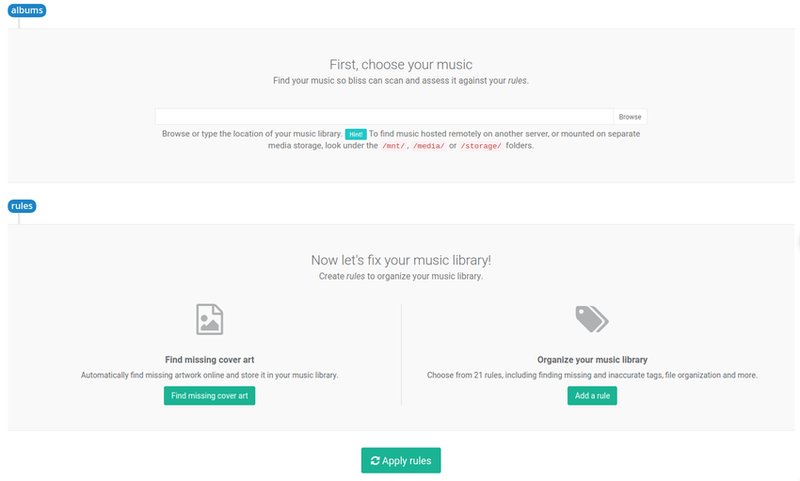 This makes the case for managing multiple music libraries. One positive point is that the MMI supports embedded artwork, so that makes transferring music a bit easier. These constraints make a rules oriented piece of software like bliss ideal to ensure compliance against these requirements. 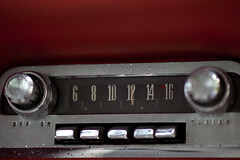 Using bliss, we can set constraints on our artwork such that it obeys these rules and displays in the car's MMI. 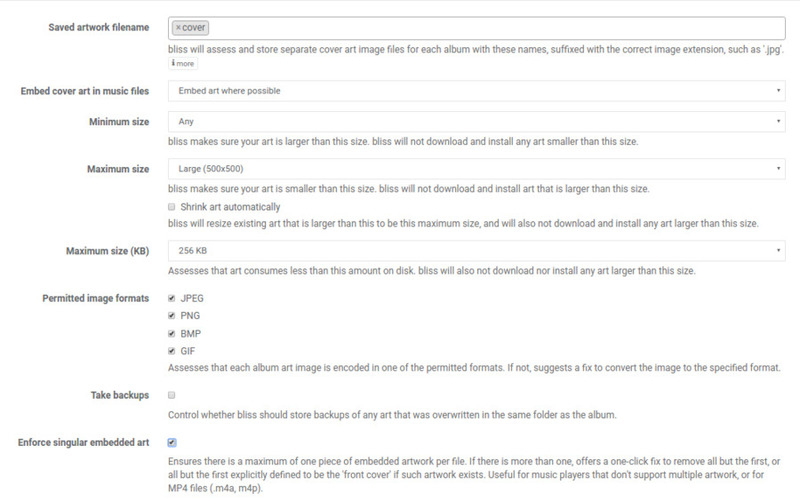 We can now set the Audi MMI album art rules as laid out above. Change Maximum size to be Large (500x500), Maximum size (KB) to be 256KB and finally check Enforce singular embedded art. You can enable Shrink art automatically if you want bliss to reduce the resolution of artwork without your say-so. Otherwise, size reductions will be offered in a one-click fix. Once an album has been assessed it will be marked as Compliant (against your rules) or Non-compliant. If it's the latter, a one click fix will offer to reduce the size of your artwork, whether in terms of resolution or data size, or strip extraneous embedded artwork. I hope that helps with your Audi MMI artwork woes. Any more interesting uses of bliss? Let me know! Thanks to jikatu for the image above.